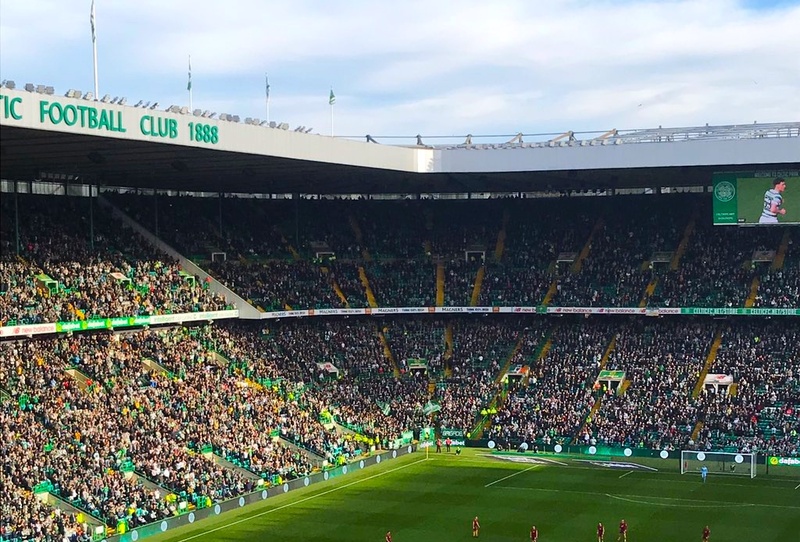 Celtic are not showing any signs of slowing down as they push towards yet another league title and restored their 8 point lead at the top with a 4-1 win over Motherwell at home. The Hoops had already established a comfortable 2-0 cushion going into the break but tempers flared in the second half when Gboly Ariyibi scored for the visitors when Celtic were expecting the ball to be returned to them after a Ryan Christie injury. Motherwell tried to turn the tie around after the 51st minute strike but late goals from Edouard and Oli Burke sealed all points for the home side. The game also marked the first senior start for 18-year-old Ewan Henderson. Sitting in front of the defense, the young Scot covered every blade of grass and made some eye-catching passes moving forward and assisted Edouard for his first goal with a pinpoint cross. Henderson clearly made an impression at Celtic Park on his full debut and is already earmarked as one of the most exciting talents emerging from Scotland. His performance seemed to have impressed teammate Kieran Tierney as well who gave a cheeky 4-word summary about his debut after the game. The brilliant comment has obviously gone down well with fans, who were singing praises of both the youngsters on Twitter following the game.